Kids and Summer snacks go hand in hand, and with all the wonderful fresh fruits of summer, like California Grapes, healthy snacks are right at our finger tips. Sponsored post. All opinions are our own. 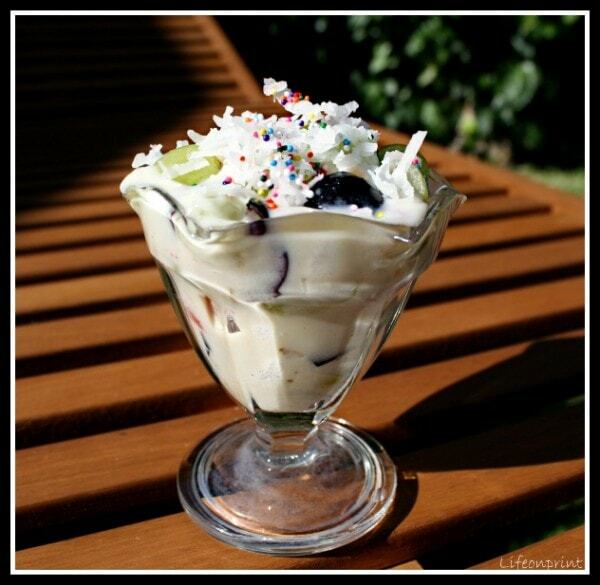 This grape salad parfait is delicious for both kids and adults. Well I think I may have the answer, check out the following recipe ideas for some treats your family and friends are sure to love! 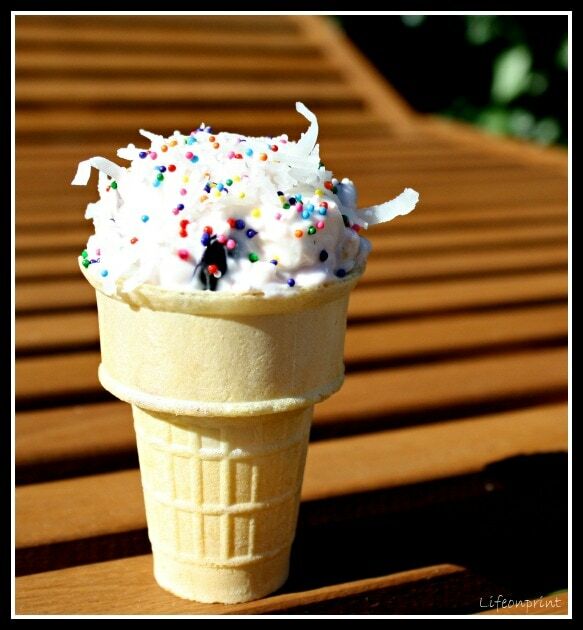 How about a super yummy dessert cone? These treats are easily made with a few simple ingredients! They are also fun and pretty to look at! Grapes are delicious on their own. 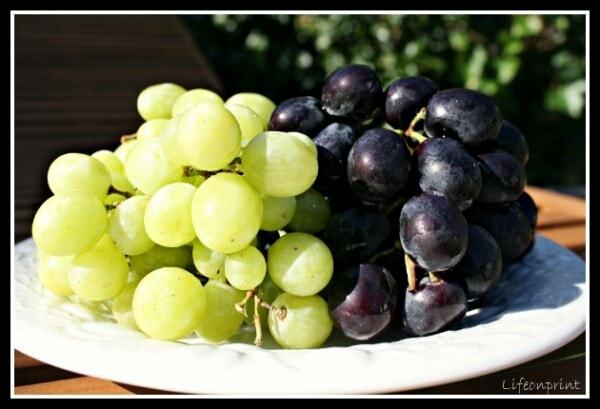 We love grapes all season long. How else do you get creative with grapes? We’d love to hear more ideas in the comments below! A tasty treat perfect for hot summer days. 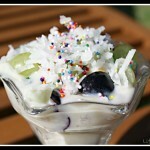 Adults and children will love this grape yogurt parfait. Serve immediately or place in the freezer for approx. 15 mins for an extra cooling treat! Sit back and enjoy the smiles and hugs you will get for serving up this special and healthy treat! *I was chosen by Family Review Network to come up with a healthy, kid-friendly, California Grape Healthy Recipe for The California Table Grape Commission and was provided a Green, Black, Red cookbook and a $10 to shop for fresh grapes from California for my recipe. This recipe was created by me and all opinions are mine alone. How easy and it really looks tasty. Can’t wait to give it a try. YUMM!!! I’d leave out the nuts because I don’t like them, but that sounds AMAZING! Hard to believe the calorie count! Looks so much richer, what a great recipe!!! 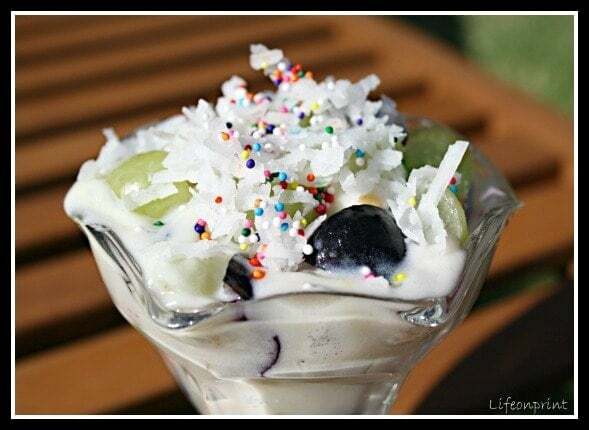 Now that looks like a tropical refreshing dessert..yum! so delicious!! Perfect for the weather we’re having here!! This looks so delicious! I want to try them! Oh goodness, I wish I could reach my hand right through and snag one (or both) of those tasty looking desserts! Sounds really good, and really easy! I love easy! That looks so good. I may have to make that for the kids! Love how healthy it is!